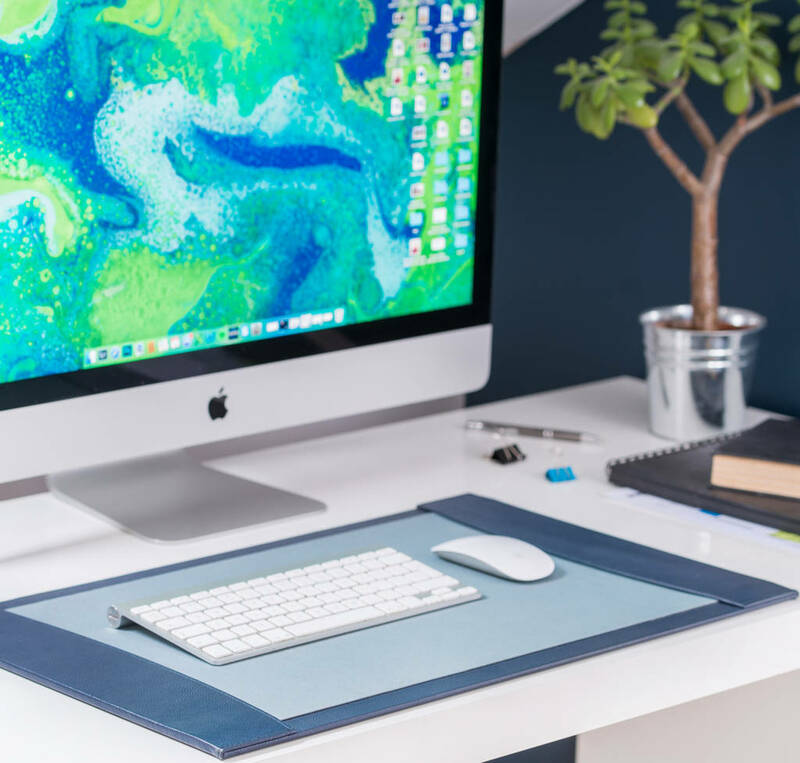 New and exclusive to Ginger Rose, our bespoke leather desk blotter makes for smooth and effortless writing. 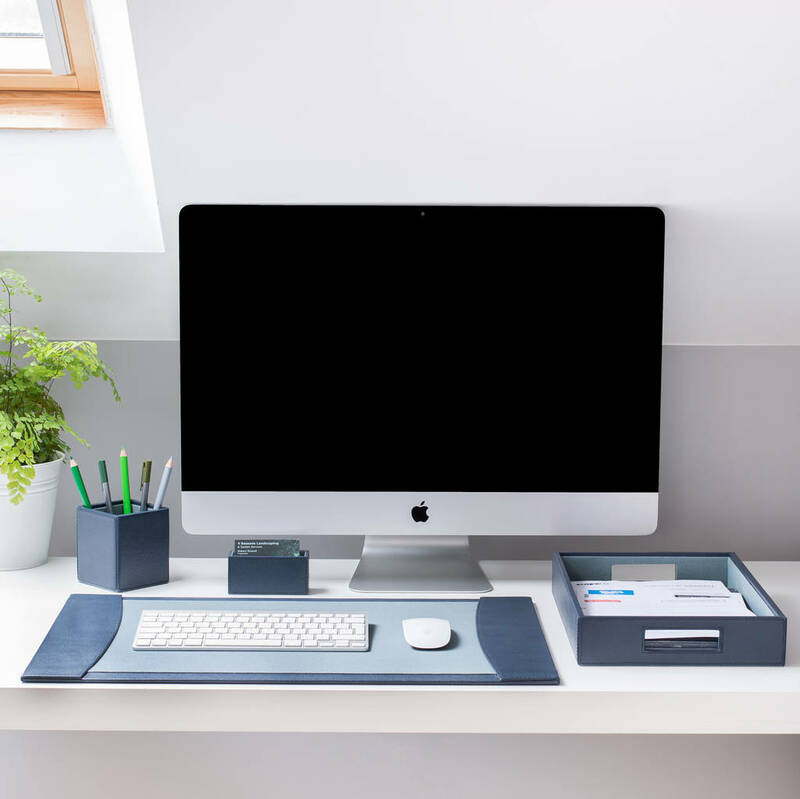 Make room on your desktop (not the mechanical kind) for this handsome leather desk blotter. 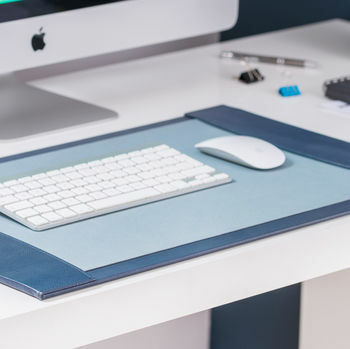 Whether blogging from a home office or chained to a work desk, this pebble textured leather desk mat makes a great base for your laptop and is a dream to write letters on. A timeless and functional leather gift for him, be it a Father's Day gift, 3rd anniversary gift (which is traditionally leather,) to celebrate a promotion or simply just because, our leather gifts will be loved for years to come. 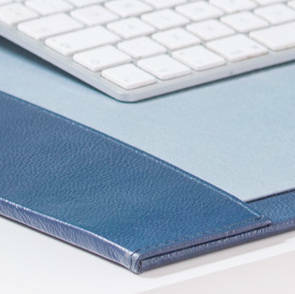 Ink blue pebbled leather with dusty blue cotton lining. 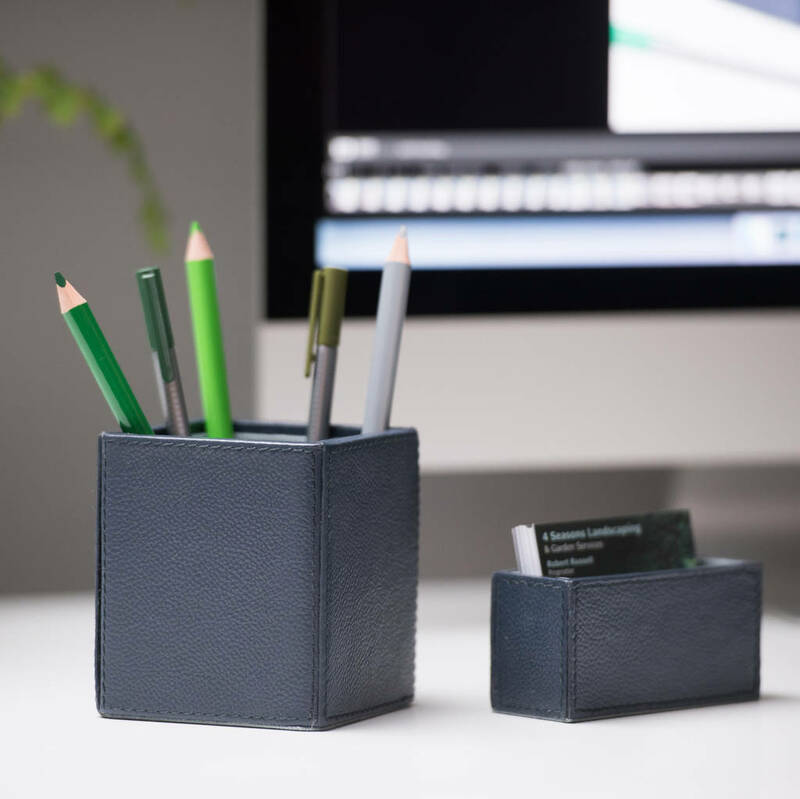 Complete the look with the matching business card holder, pen pot or desk tray. 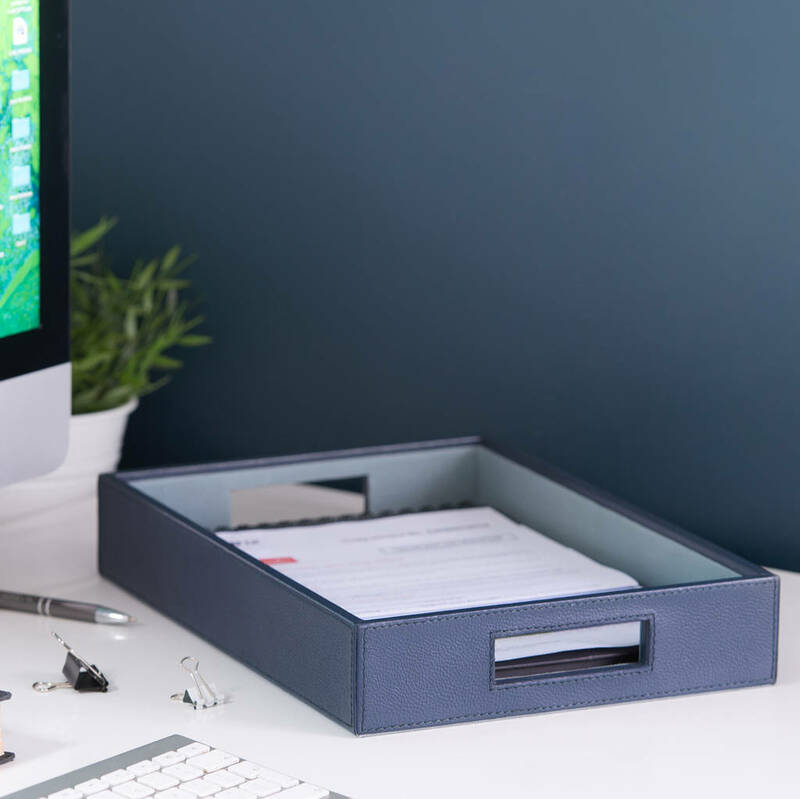 To view our full range of leather desk accessories simply click on ‘see seller’s complete range’ below.